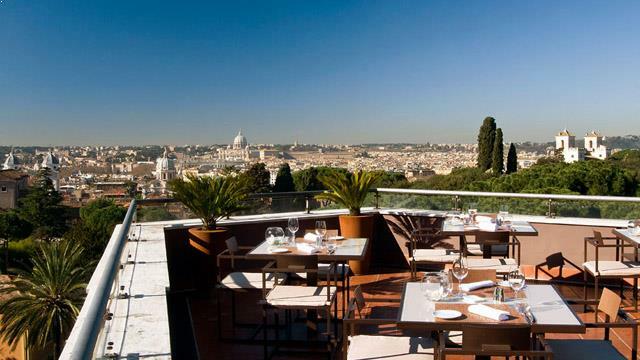 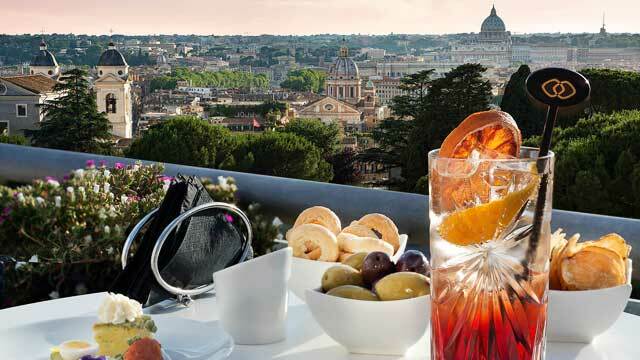 In the heart of Rome, near the Spanish Steps and Roman Forum, you find this awesome rooftop bar called La terrasse Cuisine & Lounge, located at the 5-star hotel Sofitel Rome Villa Borghese. 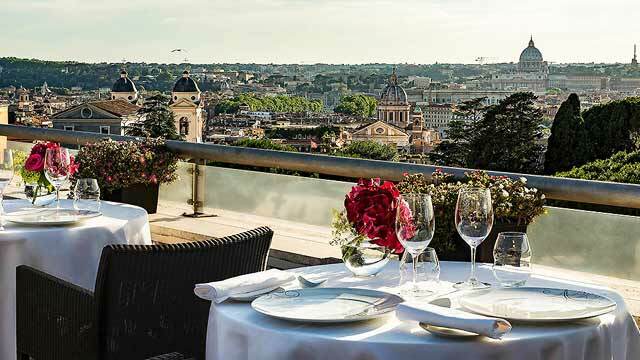 Home of both one of the best rooftop restaurants in Rome and a panoramic bar, along with stunning views across Rome, its skyline and with the St. Peter's Basilica as a mighty backdrop. 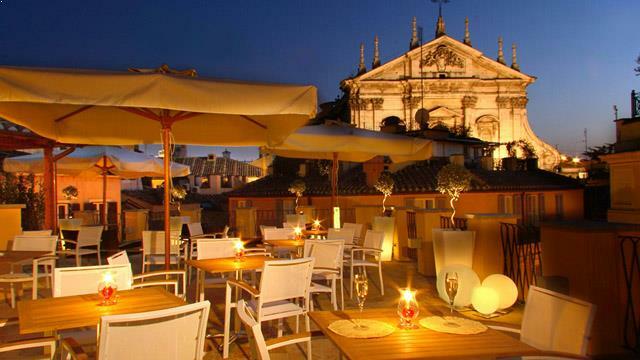 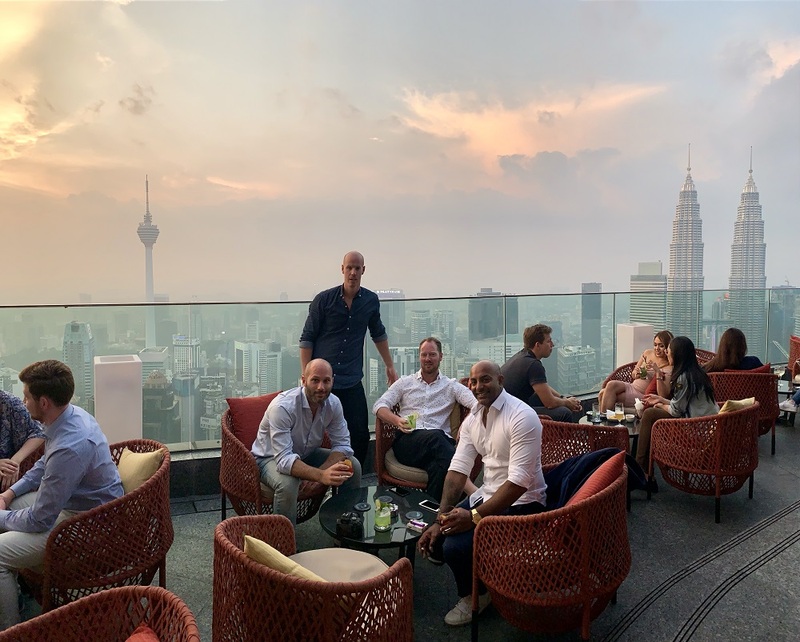 At the rooftop bar you can enjoy a glass of prosseco or signaure cocktails by Head Bartender Mirko Cagnazzo, complimented by lighter meals in tapas style. 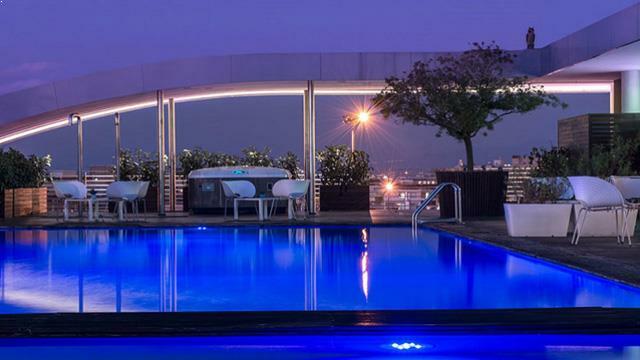 The rooftop restaurant serves fine dining lunch and dinner, consisting of Mediterranean cuisine with a French twist. 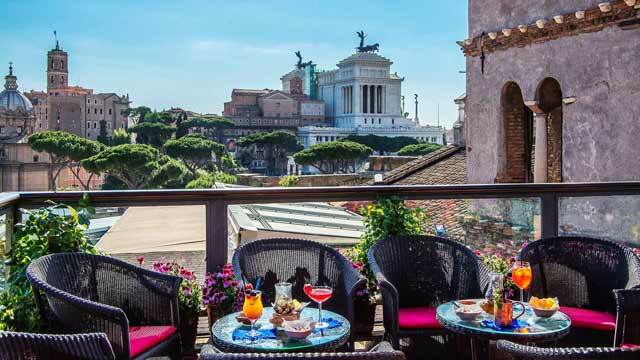 Both the rooftop bar and the restaurant comes with excellent service, great atmosphere and fantastic views of the eternal city. 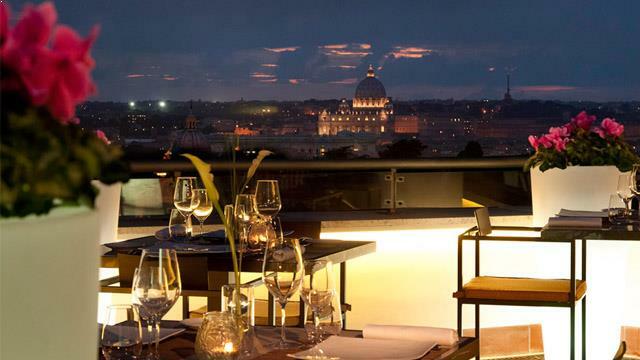 So works equally well to come here for a romantic dinner celebrating something special, or just a glass of bubbles enjoying the sunset. 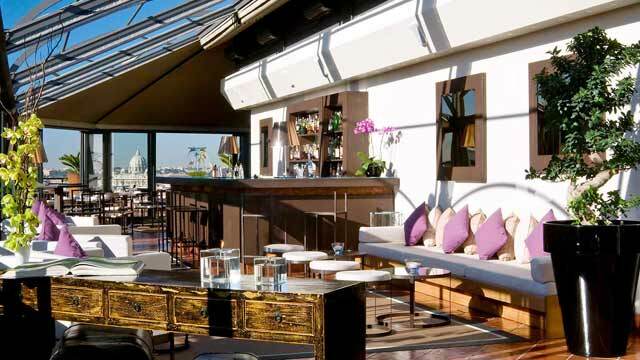 The La terrasse Cuisine & Lounge dress code is smart casual which means you will feel at home here more neatly dressed. 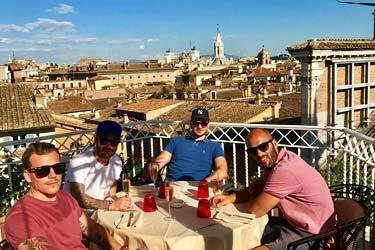 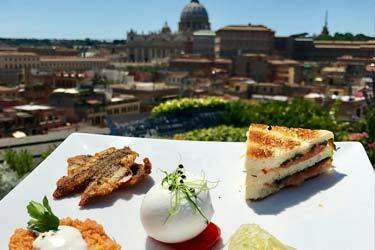 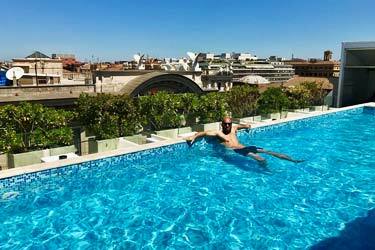 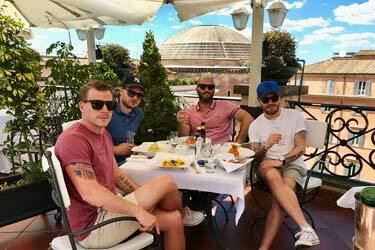 Read more about the fantastic lunch The Rooftop Guide had here during their stay in Rome 2016.